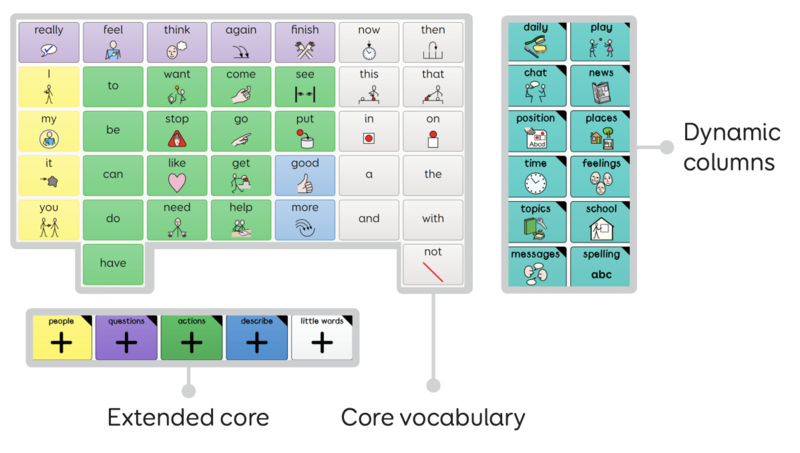 Super Core is a symbol-based core vocabulary, designed to help AAC users experience success with symbol communication. Quickly access over 2,500 of the most commonly used words and phrases – organised in a consistent and meaningful way to help you find the words you need. Who is Super Core for? 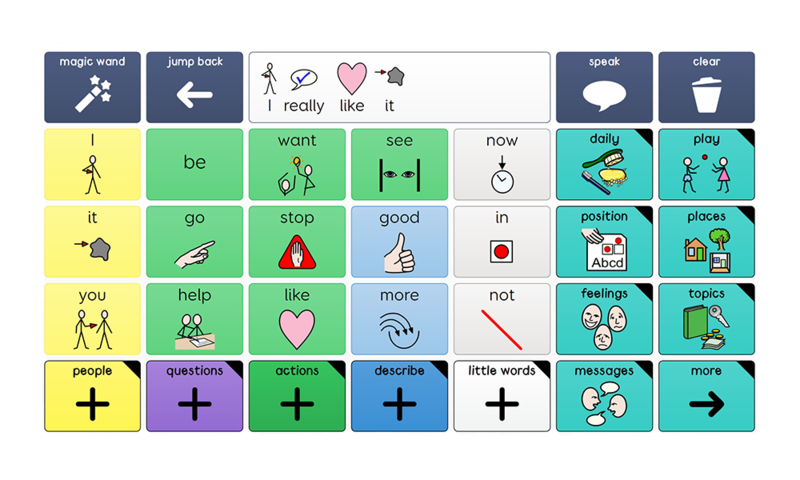 You’ll find lots of vocabulary relating to daily and play activities, making it easier to learn and explore language with activities that are fun and familiar – and encourage AAC to be used all day, every day! Super Core is available in two sizes, to suit the needs of different learners. Both versions have the exact same vocabulary, so you can access all of the same words and phrases. Available for learners who need fewer and larger cells on each grid. Words may take more selections to get to, but will be easier for some users to select. Suited to those who can manage smaller cells, with more on each grid. Core vocabulary refers to the words we use all the time, in different situations, to talk about lots of different things (e.g. “I”, “go”, “want”, “this”, “is”, “of”). These useful words make up 80% of the phrases and sentences we speak. The rest of what we say is made up of fringe vocabulary. These are the more specific words we use when we talk about certain things, like “horse”, “cloud”, “tomato” or “computer”. The consistent core vocabulary in Super Core gives you a powerful way to communicate. You can select single words, build phrases and sentences, use smart grammar and next word suggestions – all without leaving the home screen. Super Core uses dynamic columns to combine core words with activity-specific fringe vocabulary that focuses on real-life situations, everyday routines and play. These two columns jump to a selection of useful grids, each filled with vocabulary for talking about daily activities, feelings, places, positions, time, school and more. There are over 1,000 fringe words to discover in the topic grids. Each topic is organised semantically (by meaning) to help learners quickly find the words they need. For example, you’ll find vehicles that fly grouped together in one column of the vehicles grid, and those that go on water in another. For learners just beginning their AAC journey there is a selection of simplified Learning grids to explore, in two sizes. Ideal for those who are just starting to explore symbol communication, and may still be developing access skills. 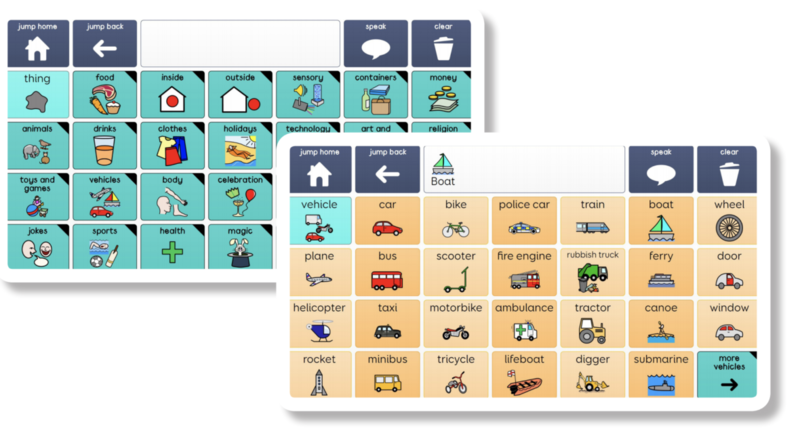 Super Core is full of features to support language development, learning and literacy. 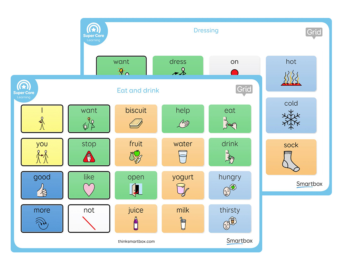 It focuses on the most functional, high frequency words that we use all the time – with single words, letters and phrases to support spontaneous, flexible and fast communication. 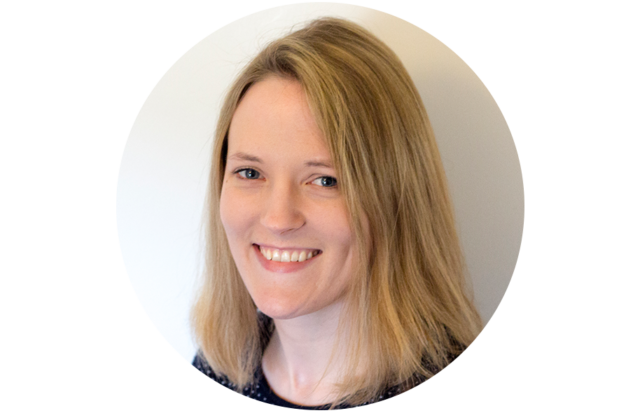 There are powerful tools for speed and grammar, enabling you to quickly build phrases, communicate meaning and explore grammatical structures. Careful symbol selection combines the visually clearest and most easily explained symbols with those that are commonly used in special schools and those that are most relatable to a child’s everyday experiences. Super Core focuses on learning language through functional and motivating activities, with words repeated across grids to support learning in a range of contexts and scenarios. Where possible, if a word appears in it will be located in the same place. 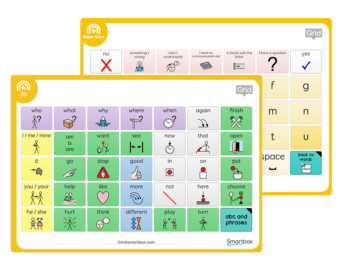 The core vocabulary uses the Fitzgerald key layout and colour coding, to organise the different parts of speech and help learners find the words they need to build their sentences. Words are also grouped together semantically, to help children find the words they need by meaning. You can read more about this in our Getting Started guide. Super Core includes a phonetic keyboard for learners at any level of literacy development to explore letters and sounds. You can also access a range of other keyboards, including keyboards with prediction cells that you can introduce when appropriate. Symbols are used selectively to encourage whole word learning for words that are harder to represent (e.g. the, a, of, but, could). Reading is emphasised throughout Super Core, in daily and play activities, and school grids. You’ll also find story book vocabulary and phrases alongside core words, supporting learners to join in with story book reading. 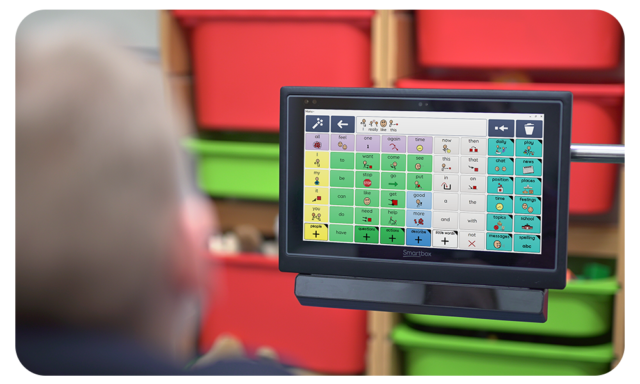 Super Core was developed by Smartbox Speech and Language Therapist Daisy Clay, and is based on robust research and experience in the field of AAC. It is designed to provide functional yet simple vocabulary that supports language, learning and literacy development. Low tech versions of Super Core are available to download and print. 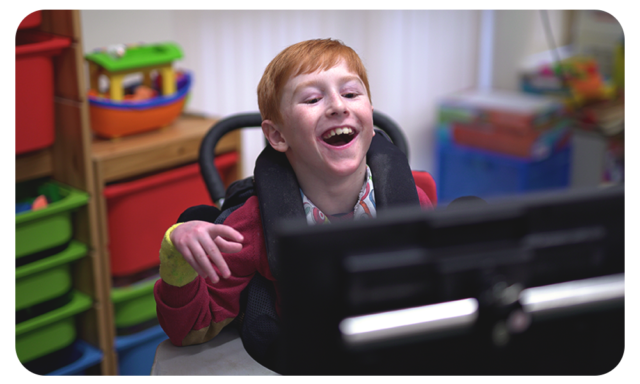 Check out our selection of Super Core resources – all designed to help you get the most out of using Super Core, and experience success with AAC. Super Core is available in both Grid 3 and Grid for iPad in UK and US English, in all major symbol libraries. Grid is our leading communication platform which lets you do so much more. You can explore many more grid sets, features and tools, with free trials available for both platforms.